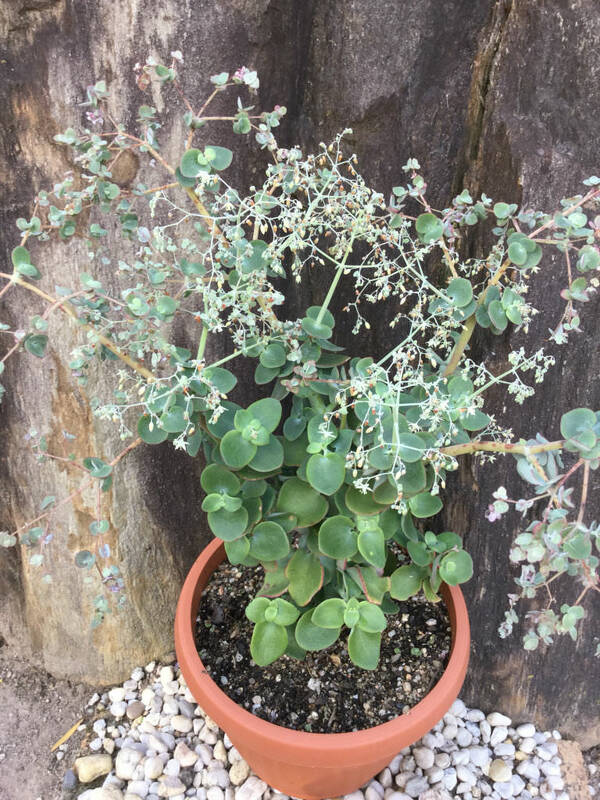 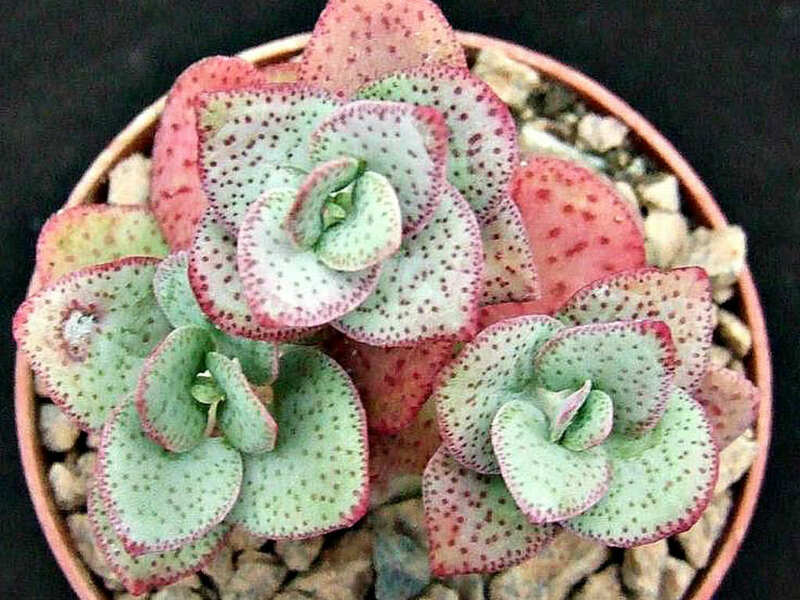 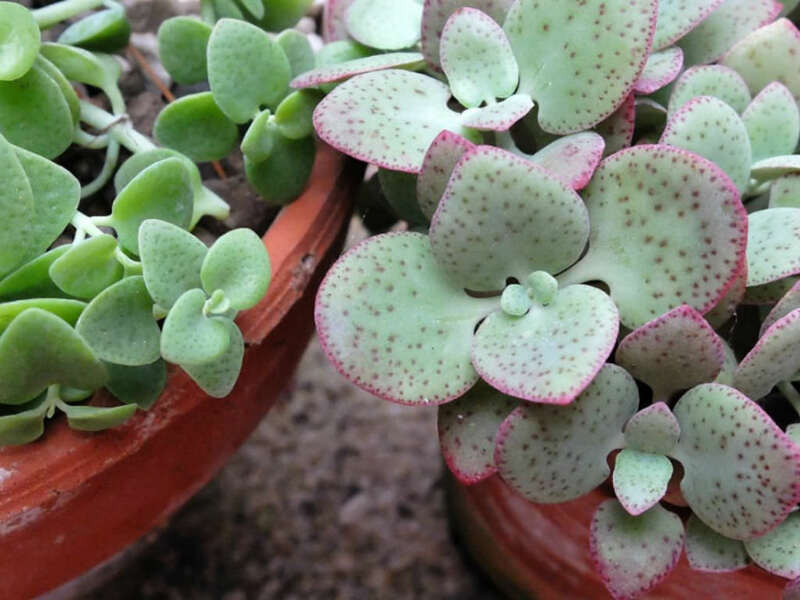 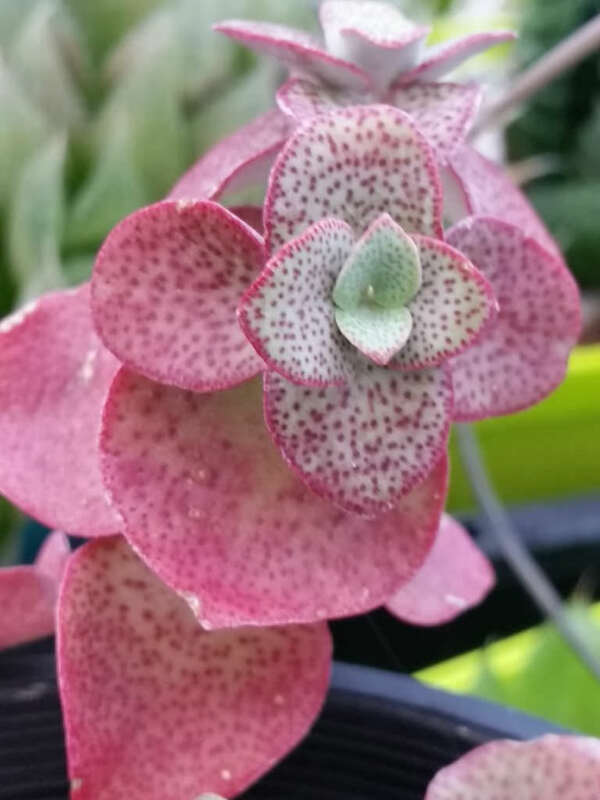 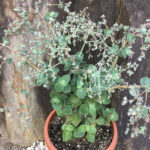 Crassula cordata is a small, attractive, perennial succulent with erect or decumbent branches up to 1 feet (30 cm) tall, sparsely branched and with old leaves not deciduous. The leaves are up to 1 inch (2.5 cm) long, up to 0.8 inch (2 cm) wide, grey-green, often with red spots and red margin. 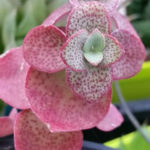 The inflorescence up to 6 inches (15 cm) long. 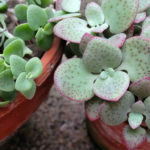 The flowers are star-shaped, cream to pale yellow, often tinged pink.